If you have already installed Acquire package then uninstall properly and reinstall the new package. We are providing co-browsing in three sections for Salesforce Classic. 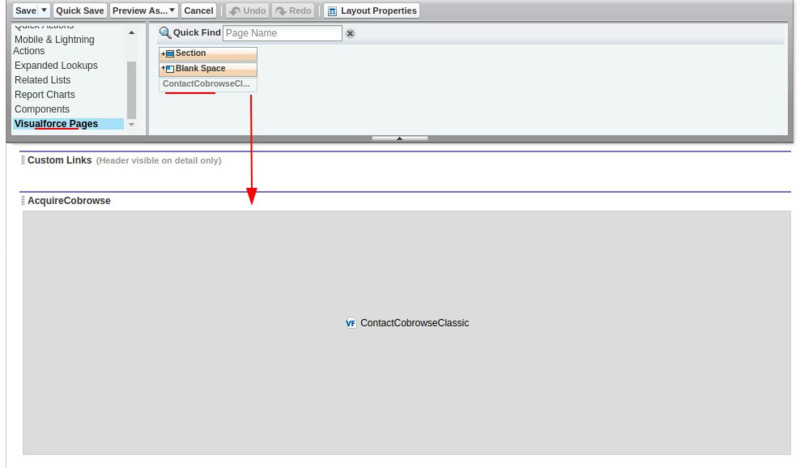 Edit contact’s page layout setting to add co-browse visual force page. Go to visual force page and then drag and drop that plugin to everywhere in contact page layout. You can edit the name of the visual page section, and also set height (300px) width according to page display. After completing setup in a page layout that widget, you can able to see in contact page also. In every contact list, that co-browse widget will be shown like this. 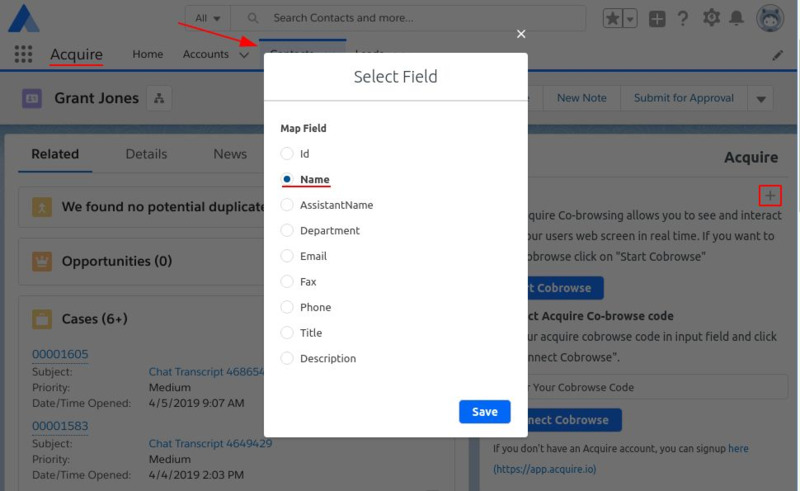 Note: You can use above same steps in Account And Lead Page Layout to enable Acquire Cobrowse. If you can use the “Start Cobrowse” button first go Acquire Lightning App and Config in saving any field. With this step, you need to pass frontend side any “unique code” or “custom_code” use Acquire API and Enter this code to the input field and click “Connect Cobrowse” button. Visit: Acquire Custom Co-browse code API (https://developer.acquire.io/co-browse-apis/acquire-co-browse/api). In your chat script add this API code as well with your “unique code” or “custom_code” and Saved field value at frontend side. Keep remembering this code to connect with co-browse. 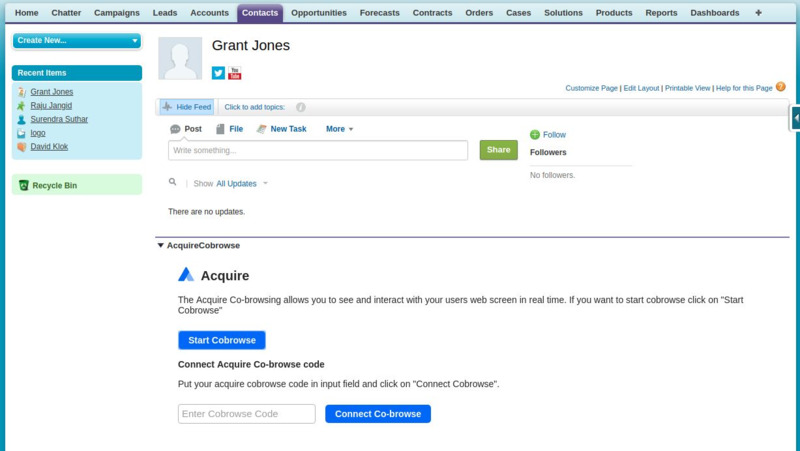 For Acquire Cobrowse first, log in your Acquire account in a browser and try to start cobrowse with visitors.